Born near Detroit Michigan and transplanted to Tampa Florida in 1982, where he located the story called “Steeling Time”, the author now resides in Russellville, Kentucky. The November Challenge (Nanowrimo) has come and gone. This is a yearly event held to inspire people to write. Everyone keeps track of a word count with the goal of a 50,000-word book, and communities of writers compete for the greatest word total. This year I did not participate. I watched from the sidelines and finished up previous Nano projects. November may be over for those writers, but the work has just begun. Some people say, writing the book is the easy part. After that, editing, publishing, selling, and promotion are the real challenges. I guess it all depends on the individual. But all of the processes are time-consuming, and it’s almost impossible to be a part time writer. Sticking you neck out to be reviewed, critiqued and rejected can be painful too. I wouldn’t call that easy. It makes one wonder why a writer writes. I finished the first draft in January. Serious editing began and by August queries started heading to agents. The cover image and the text were edited, polished and tweaked to perfection and it finally ended up on Amazon. 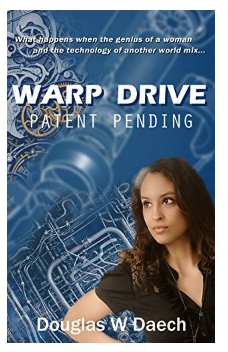 Warp Drive, Patent Pending is offered as a Kindle e-book. It’s now available in pre-order status and set for full release on Dec 20th. If that’s not enough for one month, November also saw the development of the CreateSpace paperback of Sunset of Dreams. This new Novel follows the investigation of murders by a detective in Tampa Florida. Only he sees the connection, and it is too outlandish to believe. But you can’t argue with the facts! Sunset of Dreams will be released in early 2017. My latest adventure called Finding Kray is now being queried to agents for traditional Publishing. This novel also takes place in Tampa Florida. The city is plagued with vampires, and one hunter is ready for the challenge. Filled with twists and turns, fun characters and surprise events this novel was as much fun to write was it will be to read! Look for Finding Kray late in 2017. Writing is only the beginning of an author’s job. Once a book is born it needs continual work for it to mature into a finished product. It may start in the month of November, but the work is never ending. The good news is that the end product lives on forever. That is why writers write. People who have had near death experiences claim that they have seen loved ones welcoming them to the afterlife. Some people say the soul never dies. The physical being is left behind and the spirit realm is entered. The spirit, or soul, continues after it leaves the body and joins the countless other souls on the other side, wherever that is. It is said that the soul ascends to heaven, or possibly descends to hell. The up or down reference is easy to understand, polar opposites that represent good or evil. More likely though is the theory that a soul travels a distance much less. Perhaps they only change spiritual levels. The spirit level is most easily understood as existing on a higher frequency, invisible to the beings on the physical level. So, it is possible that our beloveds soul live side by side with us. We are just out of reach and out of sight from each other. They are close, but yet so far away. In Seedy Hills, an odd little town, Eric and Louanne go to the old hospital after construction workers claimed that it was haunted. Louanne, being an experience ghost hunter, took two pieces of equipment that would assist them. First, she took an EVP recorder. (Electronic Voice Phenomenon) This device records voices that the human ear cannot hear. It is commonly used by ghost hunters today. The second tool that she took to the old hospital was the EMF sensor. Electro-magnetic disturbances have been noted to be common occurrences when ghostly encounters take place. These gizmos reach out and read frequencies that people cannot hear or see. A ghost may actually be a soul that travels from one realm to another, or one frequency of existence to another. Many think that traumatic events or emotion of love or rage may affect the spirit so strongly it causes the soul’s frequency to oscillate, allowing it to exist in both realms. This occurs in The Sexton House story contained in the E-book Seedy Hills, an odd little town. In this account of the haunting, young Connie Gill was struck dead by lightning after an angry argument with her father. Because of her rage at the time of her death she is cursed to haunt the old sexton house for a hundred years. You can pre-order the E-book Seedy Hills, an odd little town at Apple, Barns & Noble and Kobo book stores online. For Apple search “Seedy Hills” in your iTunes store. I’m happy to say that the final revisions on Seedy Hills, an odd little town have been completed and it has been uploaded to the publisher. The manuscript is in the process of final review to be sure it will convert correctly to the many different formats of E-book devices. You can pre-order the E-book now from Barns & Noble for the nook, or from Apple for the i-pad. Pre-order your copy now at Apple, Kobo or Barns & Noble for only one dollar! Seedy Hills, an odd little town follows the daily adventures of Eric Green, a reporter for the local newspaper. Eric is an arrogant, crusty, old time reporter who likes to get to the bottom of things. Seedy Hills is not a normal town, and it keeps him busy. When Bigfoot was spotted in the woods, the local hunters and trackers formed a posy to make it a trophy. Eric went along on the expedition to get the story. When UFO’s were seen above the Walmart, Eric spent the following night on a vigil to scoop the story and unexpected things happened. Ghosts, vampires, and crop circles are only a few of the other occurrences that he reports to his readers who live in the odd little town of Seedy Hills. With the manuscript complete it’s time for the media blitz, but promotion for an independent author is a huge challenge. Even though the internet is a giant help, the majority of ads and posts are ignored by people. To get attention you need to advertise big or advertise often, and the budget of an independent author does not allow advertising big. The blitz is the most common tactic for the independent author. 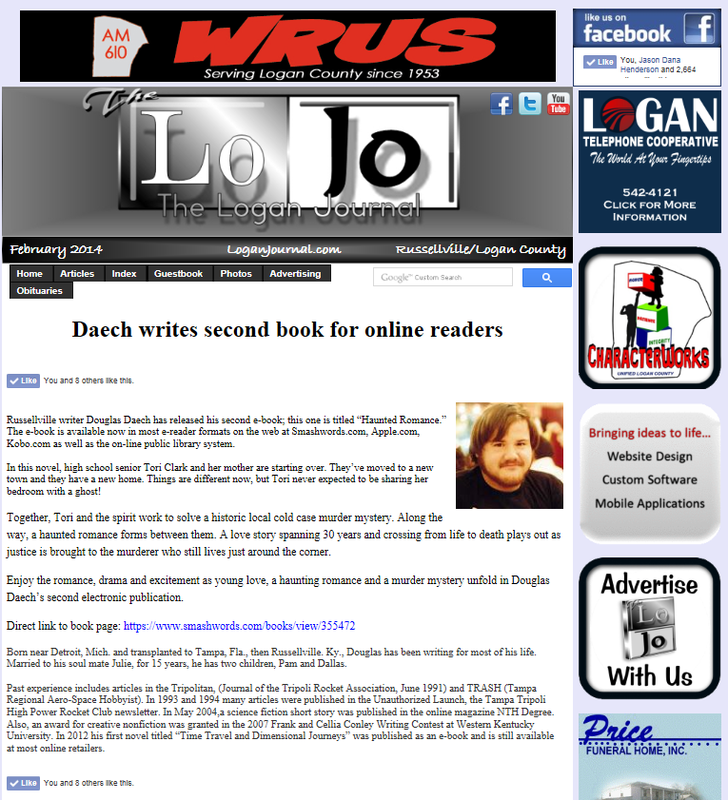 The author must post on everything from twitter to blogs and comment on the new release with links and URLs. The question at hand is does that tactic work effectively? I guess I’ll find out soon! Seedy Hills – ALMOST READY FOR RELEASE! Ghosts, vampires, monsters, UFO’s and Bigfoot are all occurrences that the city of Seedy Hills experiences in this collection of short stories. Through them all, newspaper reporter Eric Green tries to answer the questions and solve the mysteries that plague the town. But how can an earth bound reporter make peace with UFO aliens? What can he do against the monsters that lurk in the sewers of this small town? And what can one mortal do against the haunting of ghosts and undead vampires? In my next E-book, Seedy Hills, an odd little town, citizens believes that a true blood sucking vampire is preying on the residents. One poor soul, bled dry, crashes his pick-up into the Twisty Cone. Ice cream hungry witnesses see the telltale fang marks and hear the ambulance workers comment on a vampire bite. That is all it takes to put the city in turmoil. Vampires in Seedy Hills tells the story of the worst type of vampire. In the Seedy Hills vampire story I have a little fun with how rumors spread and change into something nothing close to what they were originally. I don’t really think you can blame any one person for the exaggerations. They just happen. But, in the Seedy Hills Bigfoot story we know exactly who exaggerated the facts. And of all people, it turns out being someone usually responsible for telling the truth! Sometimes there are good reasons for little white lies. When Bigfoot turns up in the woods around Seedy Hills the local hunters look forward to their chance to hunt some really big game. The problem is that the big game ends up being smarter than the hunters! Look for your chance to pre-order Seedy Hills, an odd little town at Apple, Barnes & Noble and Kobo on-line stores starting in late June. On August 1st 2014 it will be available at most other on-line e-book outlets. Be sure to check out Time Travel and Dimensional Journeys, and Haunted Romance available at smashwords.com and other e-book outlets now. I’m working on a new series of short stories that occur in the small rural Kentucky town of Seedy Hills. The city is named after the beautiful summer wild flowers that cover the hills in the area around the town. Oddly enough, the city is remarkably similar to the city of Russellville where I now reside. 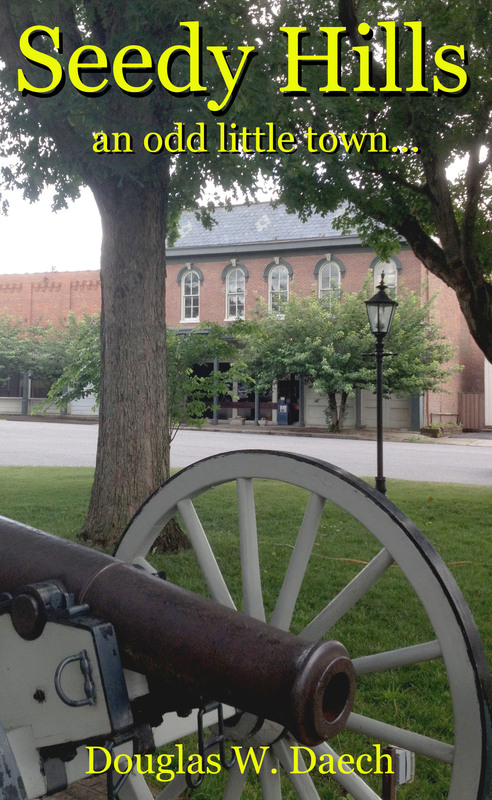 Many of the landmarks, people, local issues and oddities play into the stories. The stories involve Vampires, Ghosts, UFOs, murders and more. All of them tied together by the main character, Eric Green. Eric is a reporter for the local newspaper. He’s a stubborn, arrogant, self centered semi-retired writer who knows he has more experience and talent than anyone else at the small town paper, including the bumbling management. With his connections, talent, keen smell for a good story and hard work he solves the case and saves the day. All the time, sarcastically analyzing the backward city he calls home, and the people who live there. Through the series of short stories Eric learns about life, love and the fact that he, and other people have feelings. Late in life, the rusty old reporter learns that being from an odd little run down town may not be all that bad. I’ve got about half the book completed and proofread. I would be interested in anyone wanting to be beta readers. I feel it may be funny but it’s hard to judge your own humor. I’m a little warped and I know I find a lot of things funny that others my not. We’ll just have to see how that goes. If you want to pre read this series leave a comment and your contact info. Maybe you can help me make my next best seller!